Alarm Clock generates sound signal at the prescribed time. Time is set by a vertical line on the chart. Just shift this line on the chart to the future. 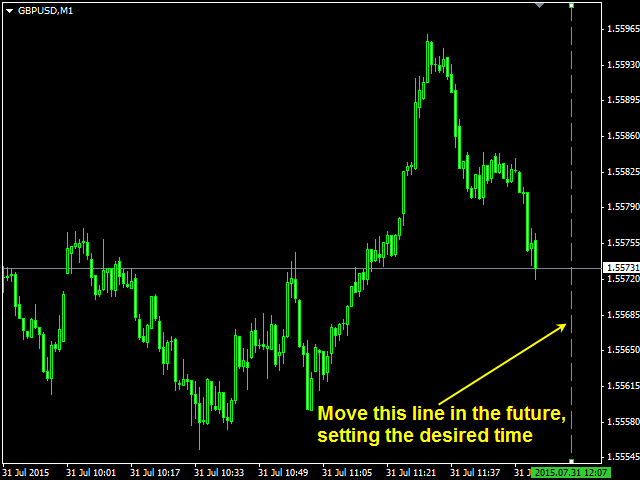 After you set the line at the desired time, you can do whatever you want with the chart, like change a timeframe and a symbol - the alarm clock will generate a signal at the prescribed time anyway. If you accidentally remove the line, the indicator will restore it at the prescribed time. You can attach the indicator to different charts and set different signal time. Sound enable/disable – allow/prohibit sound signal. Line color – color of the vertical line which sets the signal time. 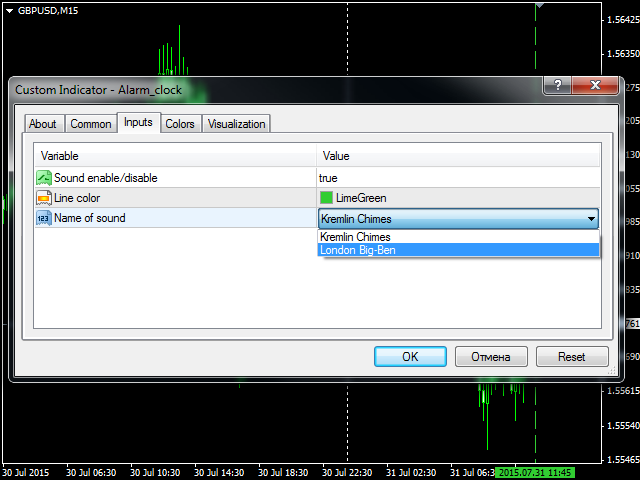 Name of sound – select a sound signal (you can set the sound of the Kremlin clock or Big Ben).